Your allergist will likely prescribe an epinephrine autoinjector for your child if your child has experienced anaphylaxis, has scored very high (4+) on a skin prick allergy test or Immunocap RAST blood test to a specific substance or is believed to be likely to experience anaphylaxis in the future. Most allergists today will prescribe epinephrine if your child has tested positive for peanut allergy regardless of how high, or low, the indicated allergy. The reasoning behind this is that so many severe allergic reactions are caused by a peanut allergy. EpiPen ®Jr. 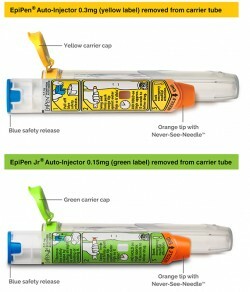 is a prescription of epinephrine in a lightweight “pen.” The pen contains one dose (.15 mg) of epinephrine for a child. The EpiPen® is the prescription for older children and adults. Once your child is approximately 60 pounds, you will probably receive a prescription for an EpiPen® rather than the Jr. The pen contains the same amount of fluid at a higher concentration of epinephrine. Before an emergency occurs, you and anyone else who takes care of your child should practice on a tester. A tester is available with the dual kit of EpiPens®. The “newer” device on the market is an Auvi-Q. This device has the ability to talk you through the administration of the epinephrine, which is very important should your nerves get the best of you in an emergency situation. This device also comes in the two strengths, .15mg for small children and .30mg for everyone else. Many people prefer this device because of its small size, and the ability for it to fit easier onto a belt or in a purse. Regardless of which device you prefer, you will want to keep the medication out of direct sunlight, and it should not be refrigerated. It should also not be left in a car due to temperature extremes! Additionally, once a pen has expired we dispose of it by practicing administering the shot on an orange. This is good practice so that you know the amount of time it will take to administer the medicine, the strength with which you need to push and the sound of the ‘click’ upon injection. You must keep the “pen” in close proximity to your child at all times. (However, be careful of curious siblings! You will need to explain to them the seriousness of the epinephrine kit.) The highest incidence of death from anaphylaxis occurs when a child having a reaction doesn’t have the prescribed epinephrine with him/her. Some children are mature enough to carry their own device with them in a lightweight fanny pack or other carrying device. The child must understand the medicine they are carrying and that showing it off or playing with it is not appropriate. All states now have legislation that allows a child to carry their epinephrine with them at school, however there may be an ‘age appropriate’ standard within the state or within the school district. The only way to obtain an epinephrine autoinjector is through a pharmacist with a prescription. You will want to obtain several devices. 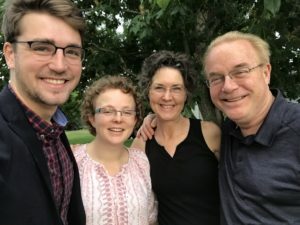 During elementary school, when our son was too young to self-carry, we had one in my son’s classroom at school, two in the school office so that one device traveled with the playground monitor to recess. He also had two devices in his fanny pack for nights and weekends. You may even want two in every location that your child goes, just in case one device fails or there is a misfire. When you pick up the prescription at your pharmacy, check the expiration date. Some pharmacies have older devices on the shelf. In other words, they expire within 6 months. You should be able to obtain a 2-pak that has an expiration date 12 to 14 months out. Once the expiration month has been hit, you will need to obtain a new one. Of course, if you should use one, you will need to replace it with a new one preferably before you leave the hospital. In 1998 there was a massive recall of EpiPen® and EpiPen® Jr. products due to a potential malfunction. Some people were left without one functioning product, which is a scary place to be. If you purchase your prescription from different pharmacies at different periods of time, you are less likely to have the devices expiring on the same date and to have them from the same lot. Keep a calendar of expiration dates and watch for recalls of any EpiPen® or Auvi-Q product to check the lot number of your various prescriptions. You can also register your expiration date and receive reminders on the manufacturer’s website. You might want to comparison shop for the best price on an EpiPen® or Auvi-Q. 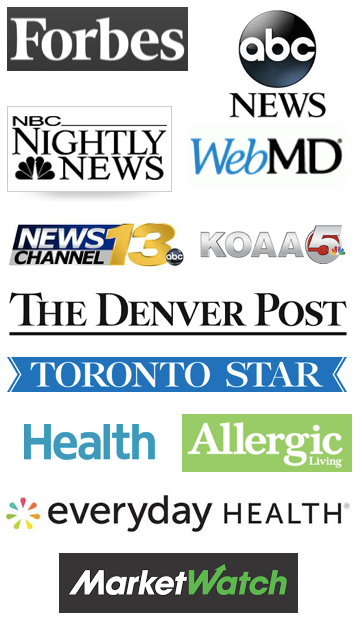 The Internet offers various sites to purchase prescription drugs. However, we’ve found that mail order pharmacies are not careful at keeping the device heat/cold protected. We therefore purchase our EpiPens® from a local pharmacy. The pharmacies in your area may vary widely in their prices charged for this product, so it’s worth shopping around. What can then follow is a dangerous lowering of blood pressure and loss of consciousness. All of this can occur within 2 minutes. 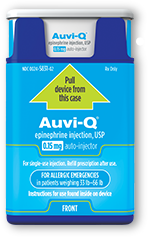 The optimum time to administer the EpiPen® or Auvi-Q is within 15 minutes; however allergic reactions can progress much quicker. If your child is experiencing only hives, for example, a dose of antihistamine may be sufficient to curtail the allergic reaction. If you aren’t sure whether to give an antihistamine or an epinephrine shot, our allergist has told us to err on the side of caution and administer the shot. Follow the Allergy Action Plan that your physician has provided you. There is no harm done if the shot is given and it wasn’t necessary. There could be real harm done if the opposite occurs. Your allergist should create a health care plan delineating what medication should be given for what symptoms. Our daughter was showing Morgan how to train others on the use of his epinephrine kit several years ago. She put the shot to her thigh, removed the gray cap, and to her surprise gave herself a real shot! She thought she was using the trainer. She shook like a leaf for 15 minutes, and then was fine. No medical attention was necessary, and she learned to ensure that she was using the trainer in the future! Your child will need to remain at the hospital for observation following an anaphylactic shock for 4 to 8 hours. The shock can return after an initial dose of epinephrine – called a biphasic reaction. It is always best to have a medical doctor observe your child, and to have additional doses of epinephrine when you leave the hospital! We have a listing of written steps to take should an anaphylactic reaction occur. These steps were also given to my son’s school, and are outlined for any caregiver.